Recently we had an opportunity to listen to Dr. Karim Sabbagh, Booz and Company, at an informal session based on findings from a recent report titled Understanding the Arab Digital Generation. The informal discussion was all about the new generation emerging in the Middle East and North Africa (MENA) region. The findings shared by Dr. Sabbagh revalidated something we already suspected that the Arab youth is keeping pace with the digital trends around the globe. And it is heartening validation as this could only result in more Arabic digital content, more opinions and more digital camaraderie. 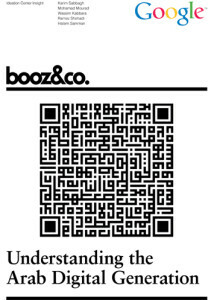 The session was based on findings from a recent report which was a collaboration between Booz & Company and Google. The report is based on surveys with more than 3,000 digital users in nine different countries in the region and highlights the impact of technology on society, as well trends to come. The participants included people born between 1977 and 1997, and this lot represents 40 percent of the entire MENA population. Dr. Sabbagh mentioned that the number of internet users in the region is clearly on the rise and that nearly 4 percent of the estimated 260 million digitally active users worldwide as of now. The numbers of total digitally active Internet users in region is a whopping 10 million (with ages between 15 and 35). If you think it is a large number pre prepared to accept that this number is likely to increase to almost 13 million by 2014. If you are a policymaker, business or community leader, or educator, you will surely benefit from keeping track of the Arab Digital Generation and understanding their evolvement better as they have the potential to affect society and organizations in unprecedented ways. If not, there is a risk of increasing the digital divide and having serious socioeconomic implications in the economies across the world.